Records created while in government are subject to Freedom Of Information Act requests unless there is a valid exemption. Or, apparently, your name is Hillary Clinton. Recently released documents reveal that the former Secretary of State struck a deal with the State Department to withhold certain records from public inspection. Some don’t appear to have a valid exception from public records laws. Clinton removed call logs which contained both official and personal calls. When her aide and right hand Huma Abedin left State, she was allowed to remove “Muslim Engagement Documents.” She carted off five boxes. The pair also removed electronic records. Judicial Watch obtained the reports by requesting “Authorization for the Removal of Personal Papers and Non-Record Materials” forms filed by Clinton, Abedin and others. How are Muslim Engagement Documents not public records? The note doesn’t state where in the list of nine FOIA exemptions these fell. Personal items on Clinton’s schedule and personal calls on her phone logs would be exempt. However, official items there would not. 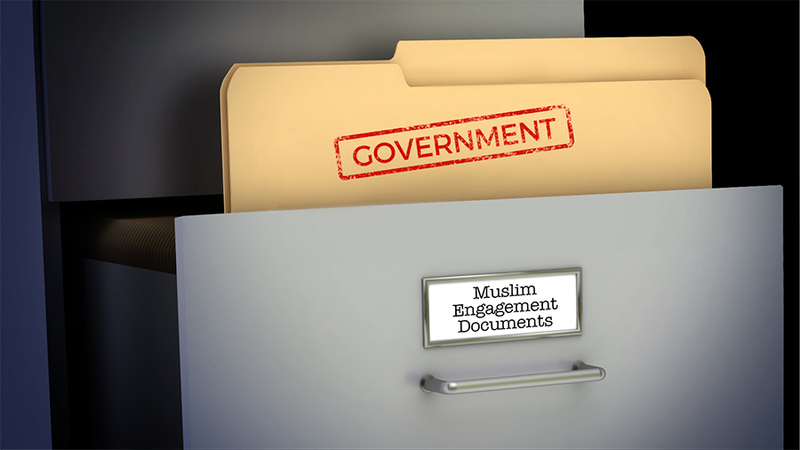 How are Muslim Engagement Documents not public records? The FOIA exemptions do not include anything that appears to cover them. It doesn’t sound like personal activity. If it was Abedin’s personal outreach, it is unlikely she would keep such records at work. There certainly was Muslim outreach taking place under Clinton at the State Department. While she was secretary of state, the agency improved its relations with Sheikh Yusuf al-Qaradawi. He is the Muslim Brotherhood’s chief sharia jurist. He promotes jihadist terror. Clinton also removed a log containing a list of gifts she’d received along with photos of those gifts. The law permits her to receive gifts from family and friends. But she was prohibited from receiving gifts motivated by her position. Bribery is a felony. Wouldn’t real family and friends send gifts to her home address? Gifts that aren’t personal don’t fall under one of the FOIA exemptions. They could reveal ties to the Clinton Foundation. There is credible, overwhelming evidence that Clinton rewarded donors to the Clinton Foundation with special treatment from the State Department. Clinton needs to explain why she thought these records were exempt from FOIA. She won’t, because there is no reason. This is just more of Clinton’s pattern of destroying records that she was required to keep – like when she destroyed emails claiming they were “private” when many weren’t. Why isn’t she behind bars ? I wonder about all the dirt the Clintons must have on people in high places. It’s the only thing that makes any sense. The exceptions of Mrs Clinton contribute to the mistrust of all politicians in general. They have little or no accountability nor do they care what we want. If she can do this and not be penalized, why should others be entrusted with our tax dollars without accountability? Entitlements now in place for our Senators and Congressmen need be reviewed with changes to terms of service, health benefits and family college benefits to mention just a few they take for granted. It is a responsible privilege to be employed by the People of these United States, not a gold mine that places them above the people and becomes an entity for it’s own self-serving whims.